Because skin reactions are limited in their kind (redness, scales, blisters, …), different skin diseases can strongly resemble each other in appearance. Therefore, longstanding experience is required to correctly diagnose and effectively treat a disease as quickly as possible based on anamnesis, clinical picture and – where necessary – expedient laboratory tests. 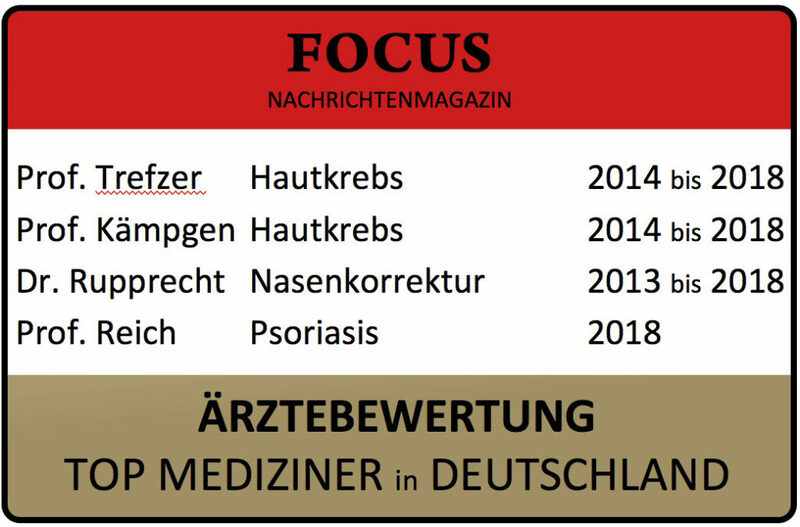 The specialists at DERMATOLOGIKUM BERLIN each look back upon more than 20 years of clinical and scientific experience and form a unique team with a major pool of experience.